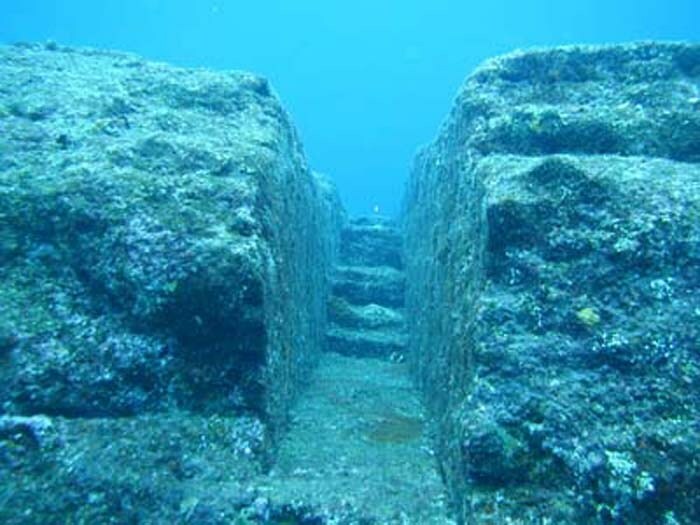 The ruins of an ancient city, said to be at least 5,000 years old, is submerged in the waters just off the coast of Yonaguni Jima in Japan. Some researchers think that the site is the former city of the Jomon culture, but others believe that the giant stones, with their sharp right angles, are merely a strange natural phenomenon. Any time there are ruins of an ancient city found under water, people immediately link it to the legends of Atlantis, the fabled sophisticated city that fell into the ocean in a single day. Scientists studying the Yonaguni Jima site, however, believe that rising sea levels eventually swallowed the coastal city and it was not the victim of a cataclysmic event. The ruins are a recent find. A diver happened upon the giant stones in 1995. 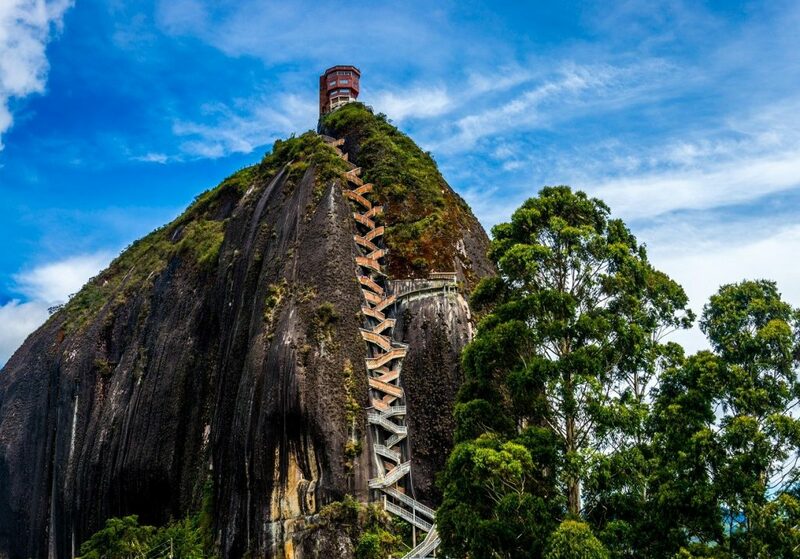 And although many people still maintain that the ruins are nothing more than natural rock formations, it is hard to explain an arched entry way and stone staircase as natural formations.